Mrs. Lincoln's Inkin: In The Air Over You!!! In The Air Over You!!! Good morning all... and what a morning it is!!! Oh my there are so many things that i have to tell you about today!!! First off, lets look at today's card. This is a card that i made for my hubby, today is his birthday) and i wanted to do something other than a traditional "birthday" card... so this is what i came up with! 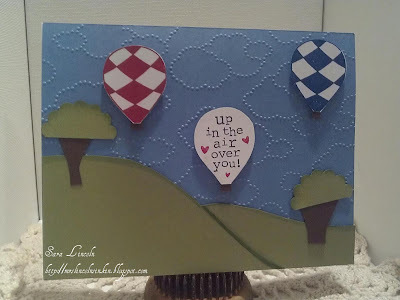 This card i used the stamp set Up, Up and Away for the balloons and i used the NEW Cloudy Day embossing folder that you can find in the new Spring Catalog which is starting today!!! 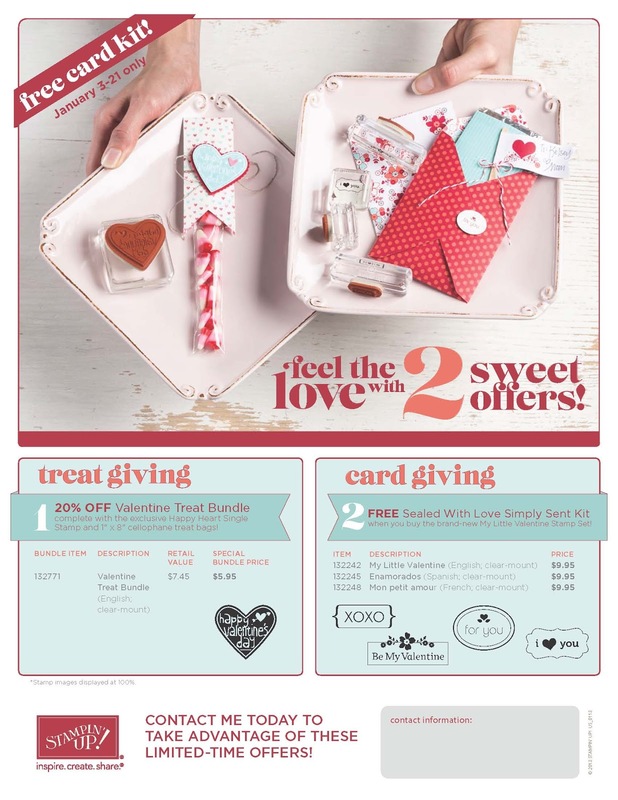 click HERE to check out the entire catalog! Now, today is the first day that you can purchase the Valentine special that SU! is offering!! The Valentine offer is only good until the 21st of this month do don't wait... order today HERE. So, for today's featured products i wanted to show you the Cloudy Day Embossing folder, i just love it. Rainy day, sunny day, cloudy day... doesn't matter, this folder can be used all the time!! !